Description: The Center for Electric Power and Energy (CEE) is a center for research, innovation and education at the Technical University of Denmark (DTU), department of Electrical Engineering. CEE covers a broad range of electric technologies including production, transmission, distribution and consumption of electricity as well the interactions with other energy carrier systems such as district heating. CEE aims at enabling a more intelligent, flexible and automated electric power system that can accommodate the future expansion of renewable energy production and the long term vision of a fossil-free society. CEE holds competences within electric components, electric power systems, automation of complex power systems, electricity markets, end-user interaction and intelligent energy systems. The Energy Systems Operation and Management (ESOM) group is a research group within CEE and performs research covering the development and analysis of new solutions for the management and operation of future distributed power systems with a high share of renewable energy and distributed energy resources. The investigation of future system architectures, centralized as well as decentralized, is part of the research area, with the goal to provide optimal and seamless interaction of all system elements and subsystems. This includes e.g. agent-based solutions and aggregation. The solutions cover novel ICT implementations combined with innovative market-based designs and new grid management methods and important aspect is interoperability of communication and services. 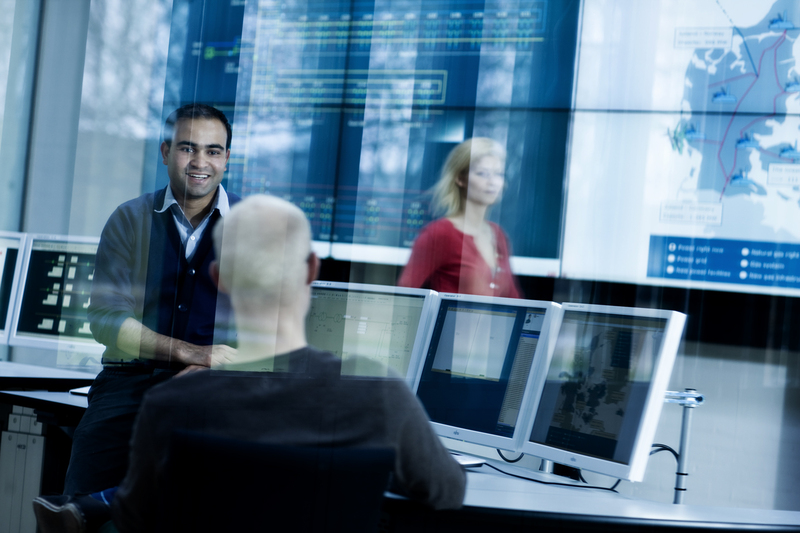 ESOM research efforts also cover innovative monitoring, operation and control which enable for example management of grid bottleneck, islanding solutions and microgrids. The research has important interfaces with many of the other groups including research within markets and energy resources, services and control. PowerLabDK is an experimental platform for electric power and energy laboratory administered by CEE. PowerLabDK supports development, test, training and demonstration of technologies that will contribute to the development of a reliable, cost efficient and sustainable energy system based on renewable energy sources. PowerLabDK is a national GreenLab under the Danish Energy Agency. The facilities contain flexible test laboratories, large-scale experimental facilities and a complete full-scale power distribution system on the Island of Bornholm which serves as a data source and platform for full-scale and real-life experiments. The PowerLabDK facilities welcome engineers and researchers from industry and academia as well as innovative students. Description: SYSLAB is an experimental facility designed as a testbed for advanced control and communication concepts for power grids. A 400V, 3-phase grid with a total of 16 busbars and 119 automated coupling points serves as the electrical backbone of the facility and allows flexible use of different grid topologies. A large variety of DER units can be connected at different points of the grid. These include two wind turbines, three PV installations, a conventional (combustion engine) generator, three buildings with controllable heating, vanadium redox-flow and lithium-ion batteries for storage, electric vehicle charging posts and various other types of controllable loads. A back-to-back converter allows power exchange to the campus grid and can be used for equipment simulation or PHIL tests. All equipment on the grid is automated and remote-controllable. Each unit is supervised locally by a dedicated computing node which acts as a communication gateway. The node computers provide communication between nodes and facilitate the deployment of local controllers. This results in great flexibility with respect to control architectures; standard master-slave control concepts can be tested as well as less traditional approaches such as controllers based on peer-to-peer communication or multi-layered hybrid control systems. SYSLAB is currently being expanded with a small district heating network in order to study the interaction between energy carriers. A custom-built “heat substation” allows the flexible interconnection and transfer of energy between a number of heat sources, heat consumers and a storage tank. The lab is in operation since 2005, covers a range of 10-100kVA (and 1x300kVA test bay) and consists of 7 building and various outdoor installations (about 1km in diameter). The laboratory is currently run by 3 technical employees and used by around 25 researchers. An expansion of SYSLAB into a multi-energy research facility by extending the district heating network is planned in the future. Description: Stationary 75 kW 3 phase symmetric air cooled resistive electrical load, dynamically solid state controlable in 0,6 kW steps. Description: General power system analysis software tool, including transient analysis. Description: Several EVs with different capabilities depending on type (V2G, normal and fast charging). Number and types of EVs available is changing over time. Description: Characterisation methods and instruments for advanced studies of structure, optical properties and chemical composition. The accessible instrumentation is 1. X-ray GISAXS/GIWAXS line for in situ studies of OPV structure on nanoscale; 2. Secondary Ion Mass Spectrometry (SIMS) for studying chemical changes under degradation of OPV; 3. UV-Visible spectroscopic ellipsometry also used for detailing properties and changes in solar cell layers. Instruments are typically used in combination with solar cells processed on the “Polymer solar cell processing facility" offered as a separate TNA. Solar cell degradation and nanoscale structure have been investigated in international collaboration. Description: Test and demonstration of Smart Grid and other technologies under realistic and stressed conditions, corresponding to future renewable-based energy systems. Description: Comprehensive configurable low-voltage (400 V) grid with 22 lab cells, different energy resources and large experimental halls for flexible electric experiments. The dedicated grid connects a number of resources with the lab cells suited for testing individual components or concerted testing of several components/units against each other. Description: Test of Electrical components and installations. Short-circuit tests Tests laboratory designed for conducting 1, 2 or 3-phased short-circuit tests. Description: Tests in connection with power equipment, which in use can be exposed to high electric voltages or currents. Applied voltages are AC, DC or impulses in order to simulate real conditions, including lightning and other overvoltages. Description: The Intelligent Control Lab is dedicated to testing and development of new advanced principles for intelligent supervision and control of smart energy systems. Description: Nordic Electric Vehicle Interoperatability Center (NEVIC) was established in 2012 and is located in the DTU Electrical Engineering Department at Risø Campus in Roskilde, Denmark. NEVIC has the flexibility to do experiments in a live laboratory for intelligent, active and distributed power system. NEVIC platforms interoperatability testing according to IEC and SAE standards. The facilities are equipped with therequired capacity to supply severalcharging posts and fast chargingequipment from the EV operators inthe Danish market. NEVIC performsinteroperability tests of electricvehicles, cable cord sets, and EVSEin various research projects. NEVIChas developed simulators where theequipment can be tested to andbeyond the limits of the standards.The setup is flexible and can bequickly adapted to new technologyadd-ons. The connected infrastructureenables vehicle-to-grid testing in alive laboratory for intelligent, activeand distributed power. Description: Risø DTU has developed a set of dedicated facilities for processing of organic photovoltaics (OPV) in form of polymer solar cells. Glove box processing lines including coating and metallisation techniques for controlled atmosphere fabrication of test cells. Cells fabricated in a standardised layout may be tested using rapid solar test platform. Roll-to-Roll printing and coating machinery for processing of flexible polymer solar cells. Die slot coating for standard test of materials formulations according to “process one” [described in Krebs FC, Gevorgyan SA, Alstrup J, Mater. Chem., 2009, 19, 5442-5451]. Full functional solar cells can be processed including electrode grid, lamination and online test. Screen printing – both flat and rotary – is under installation and become available by the end of 2010. Description: Power Student Lab is a flexible teaching and testing work space for supporting education activities of the energy and power engineers of tomorrow. The Power Student Lab offers standard work space for up to 32 students. Equipment for performing experiments, test and measurements is available. Description: The PowerFlexHouse facility at DTU Risø Campus is a collection of three individual houses, which have been equipped with sensors and controllable power and heating equipment. The Power Flex House facility is interconnected with the configurable 400 V grid and the communication platform of the SYSLAB facility. Electric vehicle power system integration: Covers the electric connection between an electric vehicle and the electrical network to which it connects. This includes smartgrid, interoperability and power measurement studies. Electric vehicle enabling technology: Covers the electric components and technologies important to the operation, performance and cost of the electric vehicle. This includes R&D and equipment testing. 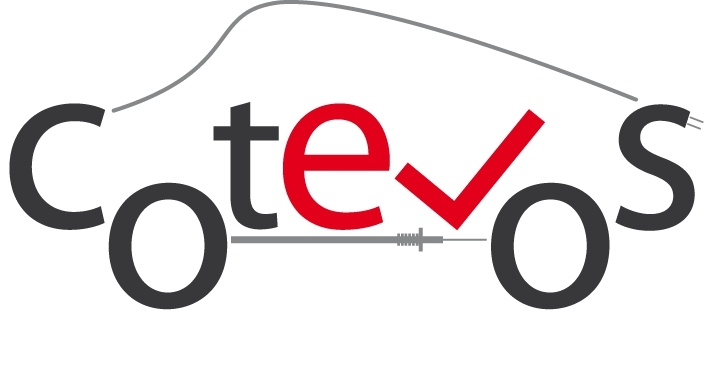 EVLab has access to a large number of different EVs including both serial produced electric vehicles and custom built vehicles used as open platforms for research. The same is true for charging infrastructure. EVLab both includes dedicated research areas – as well as interfaces to the rest of PowerLabDK. The areas grant access and electrical connections to all the other labs of PowerLabDK. While havíng access to a number of shared PowerLabDK lab areas – EVLab has a dedicated research hall at the DTU Lyngby campus. The Lab offers access to specialized data logging equipment and PowerLabDK databases. This includes in-vehicles dataloggers, metering equipment and database systems part of PowerLabDK. The equipment provided allows a component to be tested towards contemporary EV standards. This includes emulator boxes and test equipment for standards such as IEC 61850 and IEC/ISO 15118. 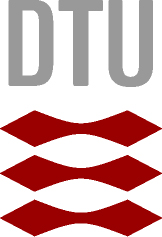 In DTU SYSLAB, the following SCADA technologies are present: IEC 61850 and OpenADR.